ELMBRIDGE Council is considering significant changes to the way councillors are elected and wants to hear your views. A vote of the council will take place on November 17th to decide whether to move from the current system, where a third of the council is elected each time, to ‘all-out’ elections where the whole council is chosen every four years. There are substantative arguments for and against both systems. Under the thirds model residents have an annual opportunity to hold the council to account, by electing borough representatives for three consecutive years followed by Surrey County Council elections in the fourth year. If they are unhappy with a particular policy they are able to express their feelings at the ballot box. On the flipside this also allows parties to see where they are going wrong and adjust course. The downside is that parties are constantly looking ahead to the next May’s elections, and could be less inclined towards long term and sometimes unpopular decisions. 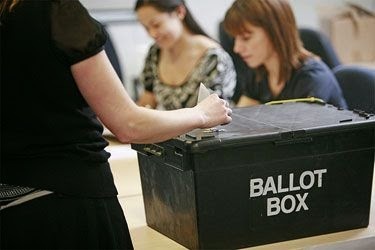 Moving to whole council elections every four years could allow for more effective planning, and there would be considerable savings to be made from holding fewer elections (around £42,000 per year). However there is another complicating factor. The Local Government Boundary Commission for England (LGBCE) is carrying out a review of all the Elmbridge Council wards. Led by Sir Tony Redmond, it will take soundings from councillors and residents, and consider reducing the number of councillors from the current 60. This is likely to result in a redrawing of the council wards themselves. The Molesey Conservative Residents feel the thirds system creates greater democratic accountability, but we understand that if thirds stay then the Commission will insist on three member wards. This creates the danger of Molesey’s wards either being merged with neighbouring towns, or having non-Molesey communities bolted on. But with an all-out elections model the Commission will allow two or even one member wards to be created, which would make it more likely that Molesey’s community identity can be preserved. The MCR believes this is important. To take part in the consultation and read more of the arguments, please go to elmbridge.gov.uk and click on the ‘Have Your Say - voting consultation’ link. This closes on November 2nd, so please don’t delay. I will be required to vote on this matter on November 17 and is keen to hear your views. Please email MoleseySteve@gmail.com or post below.